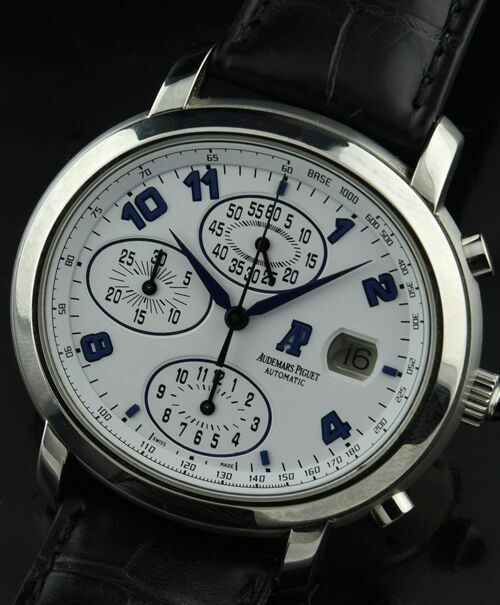 This discontinued Audemars Piguet 35x41mm. oval shaped stainless steel chronograph is a classic. This fine watch comes on a generic leather strap and includes the original steel bracelet that is missing one link piece-available from Audemars but not included in this purchase. We are including the original box. This fine watch is keeping perfect time with the chronograph function operating properly. 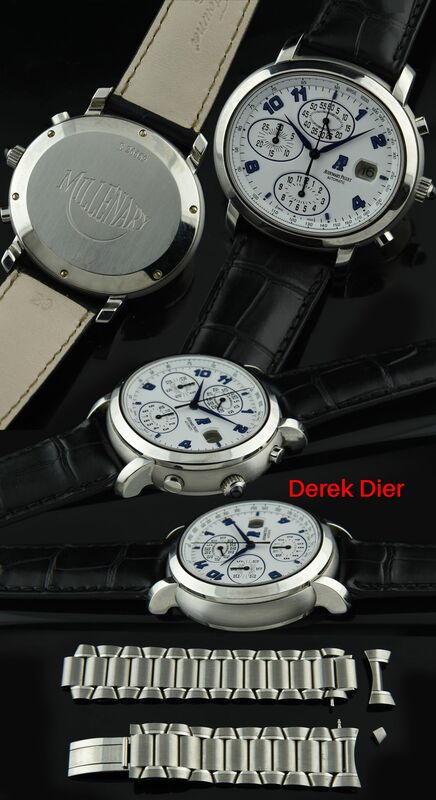 This watch will become a future collectible.